The Intervallic Reading Series provides supplemental repertoire that allows students from all backgrounds and methods to benefit from playing interesting pieces which emphasize intervallic reading. This early elementary/elementary version of Be A Star! 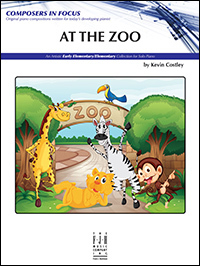 provides practice strategies that focus on blocking, interval reading, finger placement, as well as directional reading-encouraging students to learn to read intervals and patterns in music, instead of reading note by note. 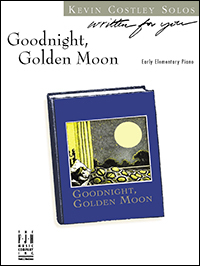 This interesting early elementary level piece is a sweet lullaby written in 3/4 time, and in an "almost Middle C position." 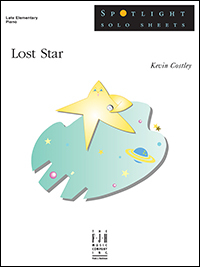 It contains legato and staccato articulations, one four-measure pedal at the end, and a lovely teacher accompaniment part. 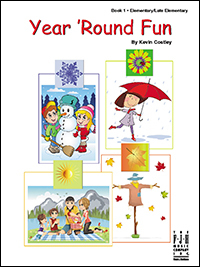 This delightful collection of songs from the child’s point of view presents snapshots of everyday events. 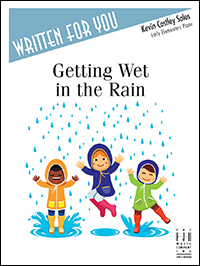 All pieces have lyrics and the titles include: Make a Wish With a Friend, There’s a Monster in My Closet, and I Have the “Purr-fect Cat.” The second half of the book introduces eighth notes with easy rhythms. Optional teacher duets offer additional recital possibilities. I Can! I Can! I Can! 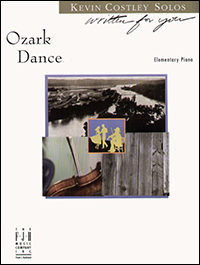 Written in the style of a country square dance, this piece for the elementary student is tons of fun to play! 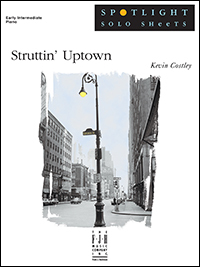 The melody flows easily between the left and right hands with well-placed staccatos that sound just like fiddles, and the teacher duet part adds the lively feel of a Saturday night hoedown. 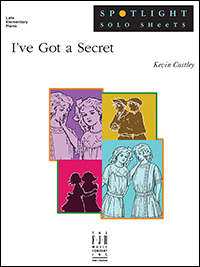 This is the first of a three-book series of playful original piano pieces, beginning at the elementary level. 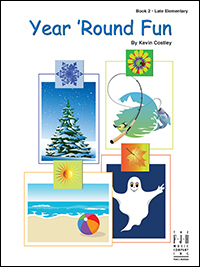 A variety of touches, pedal, and interesting harmonies foster students' imagination with pieces that highlight the four seasons of the year. 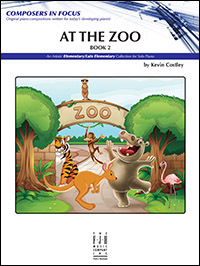 All 21 pieces are only one page long – short yet very expressive. Even though no eighth notes are used, the changes in register, texture and touch offer ample challenge and interest. There is a music dictionary in the back of the book. Good for transfer students and to reinforce note reading. The Intervallic Reading Series provides supplemental repertoire that allows students from all backgrounds and methods to benefit from playing interesting pieces which emphasize intervallic reading. This Late Elementary addition encourages students to read intervals and patterns in the music rather than reading note by note. Because the pieces are based on patterns, reading the music will sound impressive without being too terribly difficult. Also includes beginning practice strategies at the top of each piece for further learning. 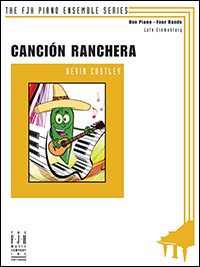 A happy melody in G major evokes “memories of old Mexico.” Both parts have ledger lines just above the staff but the ensemble is easy. The secondo plays the melody on the second page. 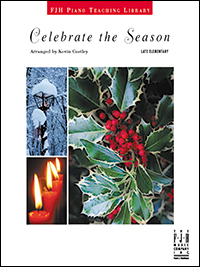 Celebrate the Season is a late elementary collection of 13 traditional Christmas carols—both religious and secular. Uniquely arranged to focus on intervals, the pieces are patterned so students can explore a wide range of the keyboard. The arrangements are playable and pleasing to hear and include interesting notes below the titles featuring facts about Christmas. This suspenseful piece in D minor is easy to coordinate so it can be learned quickly for Halloween. In section A, the L.H. uses harmonic 5ths and 6ths, the R.H. plays short phrases with stepwise motion. 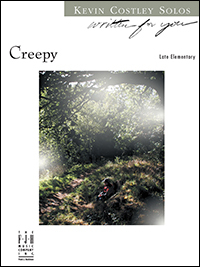 Section B features longer legato phrasing with parallel and contrasting motion – just sing the lyrics to create the "creepy" creaking. 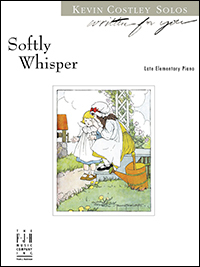 This playful, mischievous piece is a theme and variations composed on the familiar, childish “teasing” melody. Students will love showing this piece off for their friends; teachers will appreciate the pedagogical arrangement. Great thematic lyrics! Teaching "swing" is easy with this middle C position piece, utilizing a "bluesy" flatted 3rd scale pattern that alternates with the major 3rd pattern. Fun lyrics about Dad and Mom provide an extra treat! The optional duet part contains a cool walking bass line and patterned chord changes. Written in the key of F, this playful, yet bold duet features a western-style melody that switches back and forth between the primo and secondo parts. The use of dynamics, open fifths, accents and varied articulation may have students conjure up images of horses galloping across an open, prairie-land. Your students will be delighted with the "big sound" of this piece. 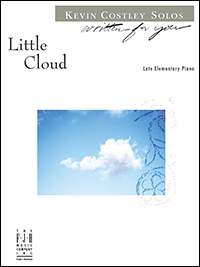 Little Cloud is a sweet sounding late elementary solo in the key of C that utilizes eighth notes, 8va signs, pedal, and a legato touch. The ending incorporates a whole tone scale for that extra dreamy effect. 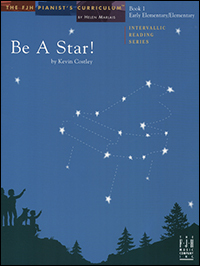 This dreamy composition is easy enough to encourage expressive playing. Features simple hand crossings and legato pedaling. 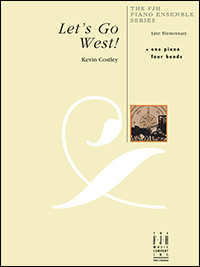 Based on traditional folk melodies, this three-movement work features alberti bass and connected pedaling. Perfect for recitals. 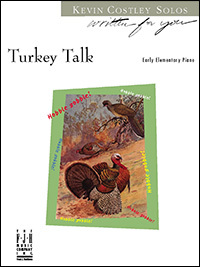 This early elementary piece written in the middle C position is a cute story about turkeys talkin' and walkin' down the road. The creative lyrics describe the "hobble and gobble" sounds they make, and an optional teacher duet part adds to the harmonic texture. 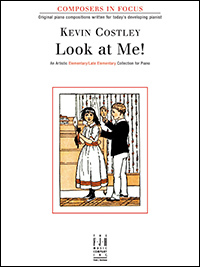 Students will have fun playing this song at Thanksgiving time or any time of the year! 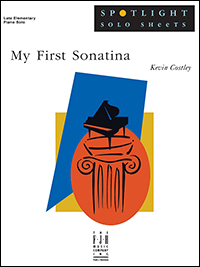 In Book 3, the early intermediate to mid-intermediate piano student will further their understanding of compositional forms, chords, phrases, intervals, and patterns within a piece of music. Following Helen Marlais' carefully crafted practice strategies, the students' awareness and ability to identify and label these forms, chords, and intervals, allows them to gain the freedom to read a piece of music as a unified whole rather than several small parts. 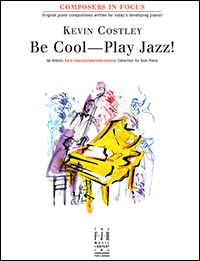 Be Cool -– Play Jazz! 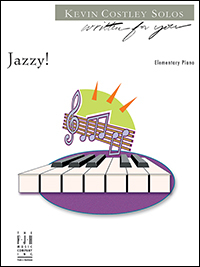 This fun-filled collection featuring original jazz, blues, and ragtime pieces is sure to be a hit with your students. A great way for your students to learn swing rhythm! Contents include: Kitchen Rag, That Sly Fox!, Classy Cat, Bebopping Tonight!, Be Cool, Zigzag Rag, Struttin' Uptown, Takin' It Easy, and The Mysterious Private Eye. 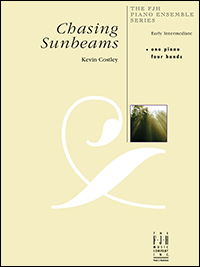 Follow the gently flowing tempo and arpeggiated theme of this piece as you enjoy Chasing Sunbeams. Lots of smooth pedaling and attention to dynamics will make this equal-part duet shine. Some cross-hand work in the Primo added to help perform final notes in the upper registers.